Supercars has finalised plans to race under lights at Sydney Motorsport Park next August. The confirmation follows a lighting test held ahead of the Sydney SuperSprint this year and will mark the first Supercars night race on Australian soil since 1997. Dubbed the Red Rooster Sydney SuperNight 300, the August 4 event will feature a single 300km race run in a three-hour window from 7-10pm. 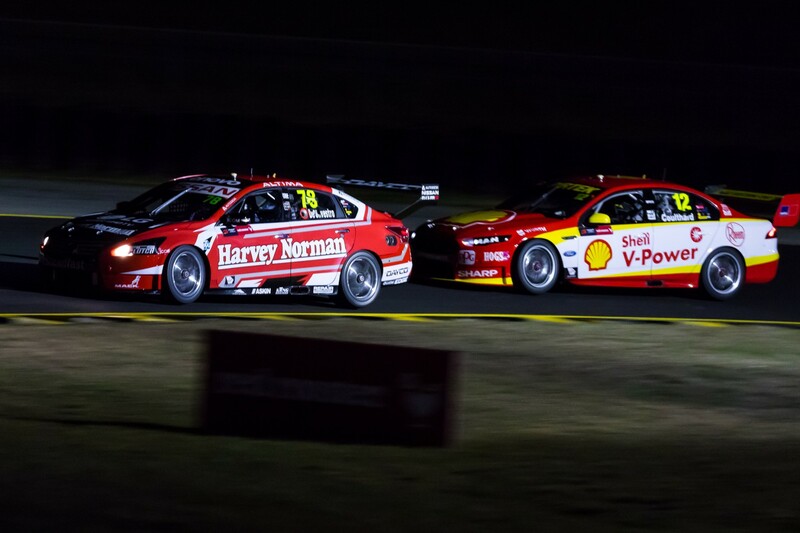 “We’ve made no secret we wanted to stage a night race next year and I am delighted to say it is now a reality that we will hold this race under lights in Sydney,” said Supercars CEO James Warburton. Sydney Motorsport Park CEO, Glenn Matthews, praised Supercars’ determination to make a night race at the venue a reality. The Supercars event will run with temporary lighting as the circuit continues to lobby the New South Wales State Government for funding to erect permanent lights. “Sydney Motorsport Park is already open 360 days of the year, and the introduction of circuit lighting and extended operating hours would introduce a whole new level of access for all motorsport and automotive enthusiasts, from after-work racing and spectating, endurance racing, driver and rider safety programs, corporate hospitality, job creation, education, exhibitions, and much more,” said Matthews. “The Red Rooster Sydney SuperNight 300 is the first exciting step towards making this as a reality. “Sydney Motorsport Park is one of the busiest sites in Western Sydney, hosting more than 600 events with more than 330,000 visitors coming through our gates annually. “We want to make Sydney Motorsport Park the premier destination for the industry in Australia – not just for motor racing and motorsport, but for automotive technology, innovation, education, tourism and community engagement. Confirmation of the night race follows today’s announcement that August will also feature The Bend Motorsport Park in South Australia hosting a Supercars event for the first time. The full 2018 Virgin Australia Supercars Championship calendar will be released tomorrow.